Unless you have tens of thousands of dollars at your disposal, the chances are good that you are not quite ready to pay for a brand new Audi. 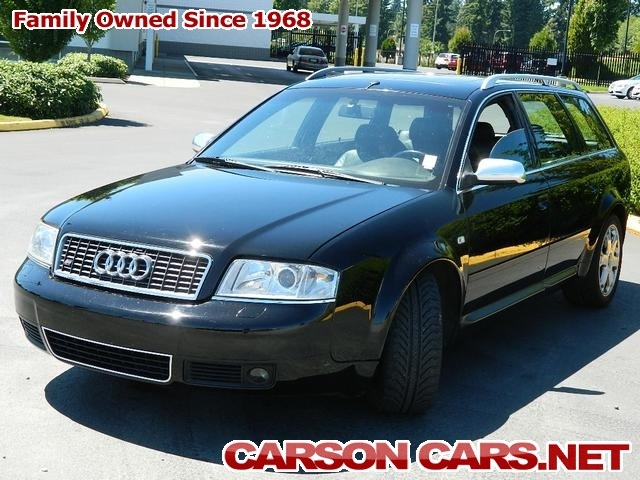 Carson Cars would like to let you know that you do have affordable options when it comes to quality used Audi cars for sale in Kirkland and the surrounding area. Not only does Carson Cars boast a vast selection of vehicles to choose from, but they also have an in-house finance department that can take care of all of your loan processing needs. The team at Carson Cars has been working to make car buyers happy for nearly 50 years and they are always looking forward to adding new customers to the family. When you want to buy a used Audi, you are going to see that this is the one dealership that will be able to set you up with an incredible ride that you can be proud of. Are you a first time buyer or are you a member of the military? Carson Cars is always looking to make a deal, which means offering quality incentives to help buyers of all backgrounds and situations a way to make the most out of their car buying dollars. When you sit down with the in-house finance department at Carson Cars, you can count on the fact that they will stop at nothing to make sure that you are able to get the loan that you need at a rate that is affordable. If you are interested in used Audi cars for sale in Kirkland, Carson Cars has the selection you need. Call (855)583-9356 or stop by for more information so that you can hopefully drive away happy.